Image Credit & Copyright: NASA/ESA Hubble Space Telescope. Below you will find many related links including NASA/JPL live Dawn tracker, Dawn Image galleries and a live Ceres tracker. See that image? That’s the best image we have of the one and only dwarf planet in the inner solar system but these images are going to look a whole lot more interesting soon enough. NASA’s Orbital Sciences built, ION powered Dawn spacecraft, is set to arrive at dwarf planet Ceres in just a few weeks. Let’s dig in! Dawn was launched from Cape Canaveral Air Force Station (CCAFS) Space Launch Complex-17B (SLC-17B) on September 27, 2007 in the nose of a ULA Boeing Delta II rocket. Its mission, to unlock the mysteries of asteroid 4 Vesta and dwarf planet, former asteroid 1 Ceres orbiting in the main asteroid belt. After receiving a gravity assist from Mars (and some great images for the road) on February 17, 2009 it reached its first destination; Vesta on July 16, 2011 where it went into orbit and gathered incredible amounts of data, giving us a never before seen view of the Roman virgin goddess of home and hearth. It remained in orbit, delivering incredible imagery until September 5, 2012 when DAWN departed and set off for Ceres. Dawn will be captured by the dwarf planet on March 6, 2015 and enter into orbit later that month where it will open our eyes to one of the current mysteries of the inner solar system. The mission will carry on through late 2015 or early 2016. WHAT ABOUT IMAGERY? : “optical navigation” images of about 25 pixels in diameter are set to begin on Tuesday, January 13. “Better than Hubble images should begin on Monday, January 26, the third set of imagery “Twice as good as Hubble” should start on Wednesday, February 4. After they complete the second “rotational characterization” (RC2) around Friday, February 20, images should be about seven times better than what Hubble can and has provided. NOTE: The Dawn mission once Ceres is reached will become not only the first spacecraft to reach each of the two bodies; it will become the first spacecraft in history to orbit two separate extraterrestrial planetary bodies. SO WHAT’S UP W CERES? : Ceres was discovered by Giuseppe Piazzi on January 1, 1801. It was eventually given the name Asteroid 1 Ceres then later re categorized as a dwarf planet. It’s named after the Roman Goddess of agriculture, grain and crops. In fact, the next time you’re sitting down with a bowl of cereal, you will know where the name cereal came from! 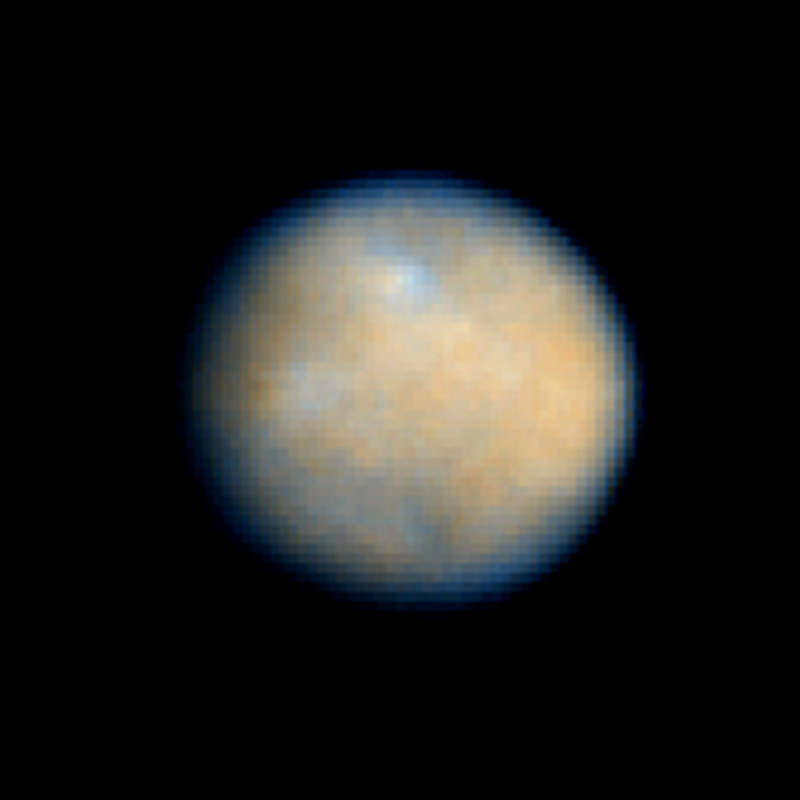 Ceres is a round, rocky, possibly icy solar system body and the only dwarf planet in the inner solar system. It resides in the main asteroid belt where it makes up about one-third of the entire mass of the main asteroid belt. It’s roughly 590 miles (950 km) in diameter and orbits the sun at an average distance of around 257 million mi. (414 million km or 2.76 AU). One Cerean day is just over 9 hours and one Cerean year is about 1681 Earth days or 4.6 Earth years. 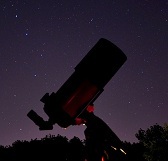 Depending on where Ceres is in relation to Earth, its apparent magnitude fluctuates from about 6.5 at opposition which is right at the border of naked eye visibility to a 9.3 which is about the edge of binocular range so viewing Ceres is very possible if you know where to look and what to look for. Image | This entry was posted in Comets, Asteroids & Meteors, Images, News, Solar System, Spaceflight Companies & Vehicles and tagged Asteroid, Ceres, Cosmos, DanSpace77, DAWN, Dwarf Planet, Interstellar, JPL, NASA, Science, Solar System, Space, Universe, Vesta. Bookmark the permalink.